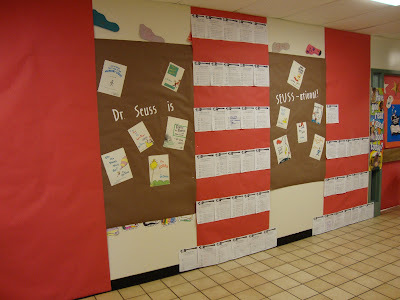 MicheleGreen.com: Happy Birthday Dr. Seuss! Today, Wednesday, March 2nd is Dr. Seuss's birthday!! It is also a part of Read Across America week, sponsored by NEA. Here is a bulletin board idea for you! There are three large sections of red paper going from floor to ceiling. Those will become Cat in the Hat hats, like you can see on the one in the middle. 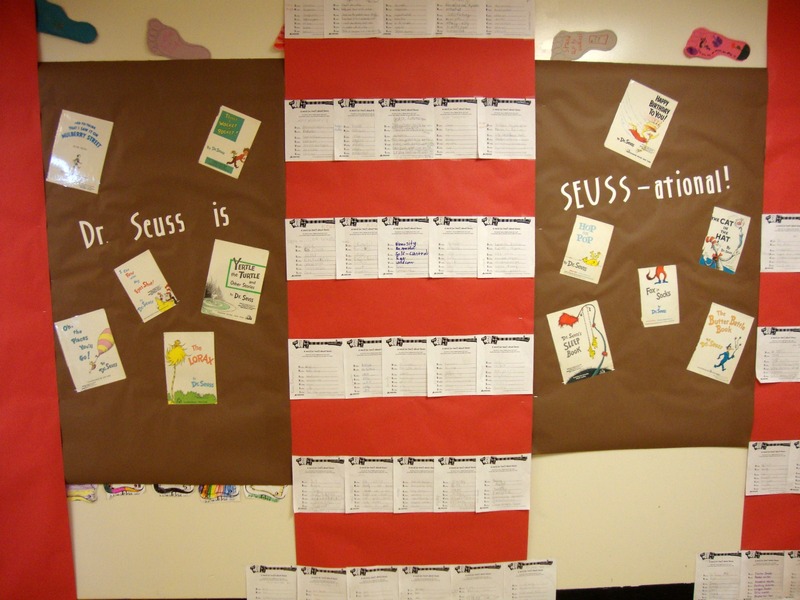 All of the papers making up the white strips are acrostic poems about Dr. Seuss that the school children have written and turned in to the library. As we get them in, we put them up, creating the hats as we go! In between the hats are brown papers where I added the title (Jubilee cart) and a bunch of title pages from old, beat up Seuss books that we replaced in the library. I have a feeling we may need to continue down the hallway wall as more poems get turned in. 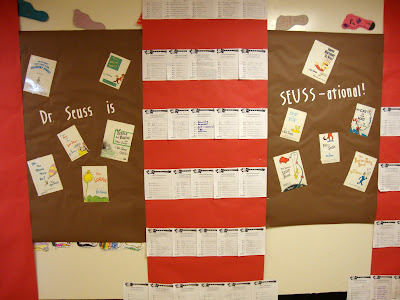 The kids love Seuss week! This is super fun. How cool that they all are writing poems for this fun day!! What it means to love you - Blog hop! Secret Leprechaun - the final day! Secret Leprechaun - Day 3!